Our plumbing company has been family owned and operated since 1985. In our two decades of reliable plumbing service, we have become the go-to plumbing professionals in the area. Our plumbers are well trained, experienced and always standing by to help. We offer emergency 24/7 service for any and all plumbing problems. So, if you need the help of a fast, reliable and affordable plumbing company, then please do not hesitate to give us a call at (408)215-4612. Remember, we’re always standing by to help you with your plumbing problems. 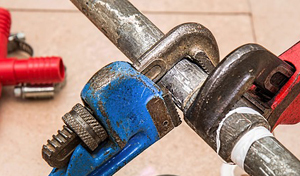 With our two decades of dependable experience, we are confident that both our commercial and residential plumbing services will not disappoint. Our plumbers are extensively trained, experienced and knowledgeable in their field. With our reliable plumbing company, your satisfaction is always guaranteed. So if you need the help of a team of professional plumbers, then just pick up the phone and give us a call. Our company is dedicated to providing quality customer service. From offering 24/7 emergency plumbing services to making sure that each and every one of our customers feels they are given the attention they deserve, we’re the company to call. Don’t hesitate. Contact our team of plumbing professionals at your next convenience.